A face with tightly closed (boomerang) eyes, wide open downturned mouth, and eyebrows. Upper teeth are showing. 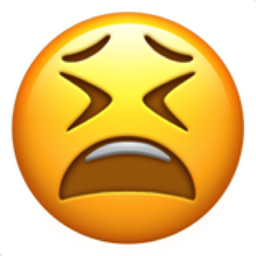 This emoji needs some sleep. Tired but not tired enough to use emoji!